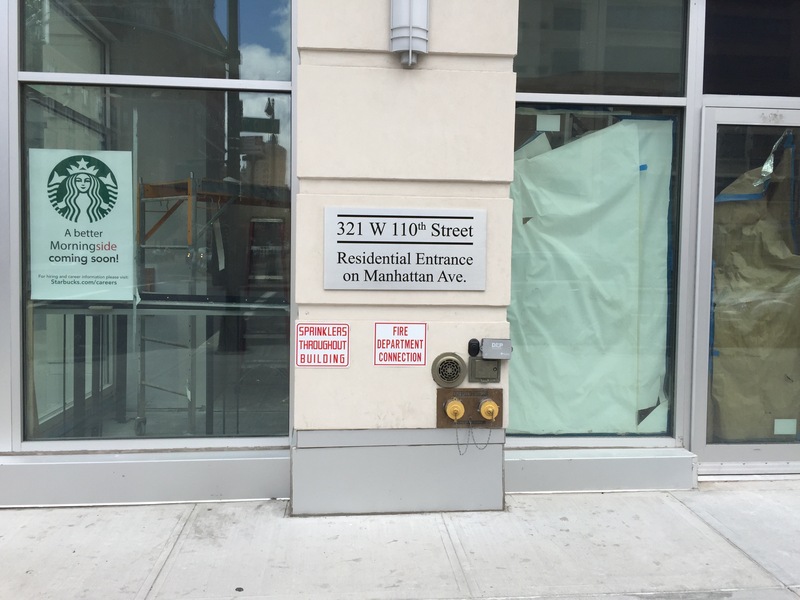 Harlem getting another Starbucks, new condo on 110th will house Seattle giant | HarlemGal Inc.
Strolling along 110th St. approaching Manhattan Avenue in Harlem, what will you see? 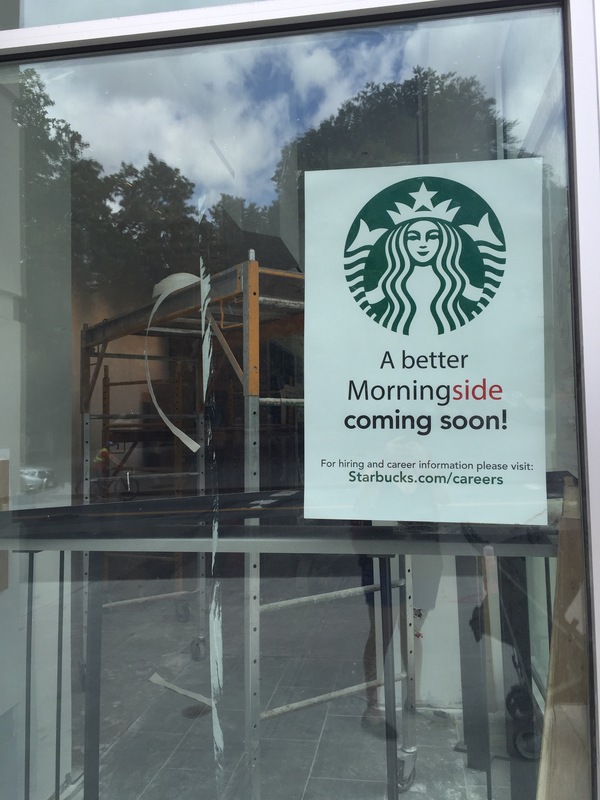 A big sign that says Starbucks coming! It will open up two or three doors down west of Cafe Amrita, a long time favorite Harlem business. Clearly, the Seattle based company sees that the cafe/coffee business is booming in this part of Harlem, along with mid to high end restaurants. In the last few years, several cafes have open up just along Harlem’s restaurant row, aka Frederick Douglass Blvd., such as Double Dutch, Silvana, Amaretto Espresso Bar, and Cafe Frederick Harlem Parlor. Not sure I care for another Starbucks in this area. There are plenty of good coffee options now that exist! Agree or disagree? This entry was posted in 110th Street, business, Cafe, Cafe Frederick Harlem, Central Park North, Community, Double Dutch Harlem, drinks, food, Frederick Douglass Blvd., Harlem, Harlem bloggers, Harlem blogs, Harlem businesses, Harlem Restaurant Row, Harlem restaurants, HarlemGal, Morningside Park, New York, New York City, NYC, restaurant row, restaurants, Silvana, Things to do in Harlem, Where to dine in Harlem, Where to live in Harlem and tagged 110th Street and Manhattan Avenue, Amaretto Espresso Bar, Cafe Frederick Harlem Parlor, coffee, double dutch, Harlem, Harlem's Restaurant Row, starbucks. Bookmark the permalink. We don’t need another one,pretty happy w Amrita and Double Dutch already! I past by this Starbucks earlier this week and was rather disappointed to see that it had hardly any seating. Starbucks put in a stark functional takeout counter will little atmosphere to make this corner more inviting. How disappointing. then let us get the Starbucks on 116th and Lenox if you don’t want it… It is desperately needed there!